A CEREMONY WAS held early June as Iveco Bus handed over the first 23 Crossway LE Natural Power vehicles to the ČSAD Karviná transport company, in the Czech Republic, the company reports. This Czech order cements Iveco's status as an alternative fuels leader, it's stated. These new buses, equipped with Iveco CURSOR 9 NP engines, are 12m long and will operate in the Kravina and Orlovska regions, providing added value to passengers through their sustainability, quality, comfort and design, it’s stated. First presented during the Busworld 2017 fair in Kortrijk, Belgium, the first 23 Crossway Natural Power buses are to be transported from the Iveco Bus plant in Vysoké Mýto to the city of Karviná. ČSAD Karviná has invested significantly in the renewal and modernization of its fleet in partnership with the travel services operated in the Karviná and Orlovska regions, the company states. This year it will purchase 63 new buses in total. 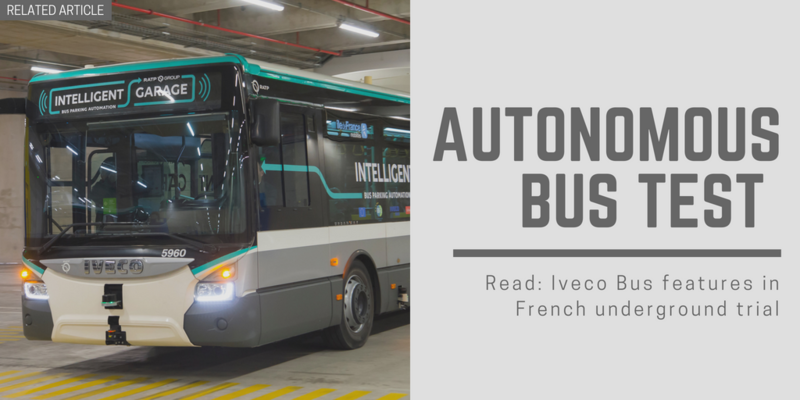 "Thanks to our long-standing experience in the operation of compressed natural gas vehicles, our company was the main instigator in the development of this new type of bus. 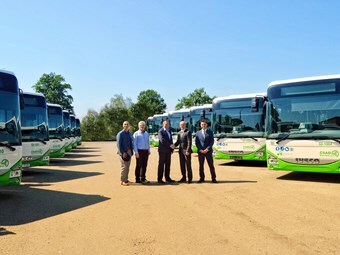 We are very pleased that the production of the Crossway LE Natural Power has been completed and, on the basis of successful testing, we have ordered the first 23 units to extend our current fleet to 263 CNG buses. This new delivery consolidates our position as leaders in the CNG bus sector, not only in Czech Republic," said Tomas Vavrik, general manager ČSAD. The Crossway range has enhanced its position as the undisputed leader in its segment across Europe through this Natural Power version, it’s stated. Fitted with the latest generation Iveco CURSOR 9 NP engine, the vehicle offers smart design, including the installation of compressed natural gas tanks in the roof. This exclusive feature – which has been patented by the brand – combined with the improved structure, optimises the vehicle’s on-road stability and increases driver and passenger comfort, it’s claimed. This also gives the vehicle the lowest overall height on the market (3,210mm), allowing the vehicle to operate without any restrictions. With a total fuel capacity of 1,260 litres (four 315-litre tanks), the vehicle has a range of between 500- to 600km depending on the usage profile, the company says. Comfort is improved thanks to specific features such as air-conditioning and Wi-Fi, enabling passengers to always be connected. Access is facilitated with a dedicated area for wheelchairs, and pushchairs and prams are easily accommodated. Comfort is also a key element for the driver: the application of the VDV standards - an international standard that seeks to ensure all key driver controls are placed in the same locations across brands. As such, this feature seeks to offer exceptional comfort and security to both the driver and passengers. "The Natural Power range represents a proven and sustainable mobility solution, using natural gas and bio-methane. Through this, we are able to offer more environmentally-friendly buses. The benefits are particularly impressive in terms of particulate levels and noise emissions. I believe that our customers, as well as passengers, will appreciate not only their silent environmentally friendly operation, but also the comfort and high value added," commented Jan Kimla, Iveco Bus sales director for Central and Eastern Europe. A European leader for 20 years, Iveco Bus once again confirms its leading position in the alternative fuels sector and offers a mature, virtuous and eco-friendly solution from well to wheel, according to the company. Suited to all types of transport with a very positive economic balance, the Natural Power solution puts the expertise of Iveco Bus at the service of sustainable transport.